A very important message indeed! That's a great message! Have a great Christmas Athena! Good message~! Wishing you a very Merry Christmas - hope all your Christmas wishes come true! Awesome message, Athena and Mum! What a pawsome message, Athena. A very important message! Hope you have a very happy holiday! That's a very important message. I heard of a shelter in our area selling gift certificates for pet adoption fees. That would be a great gift for someone who wants to go choose a pet. We agwee bootyful Athena. 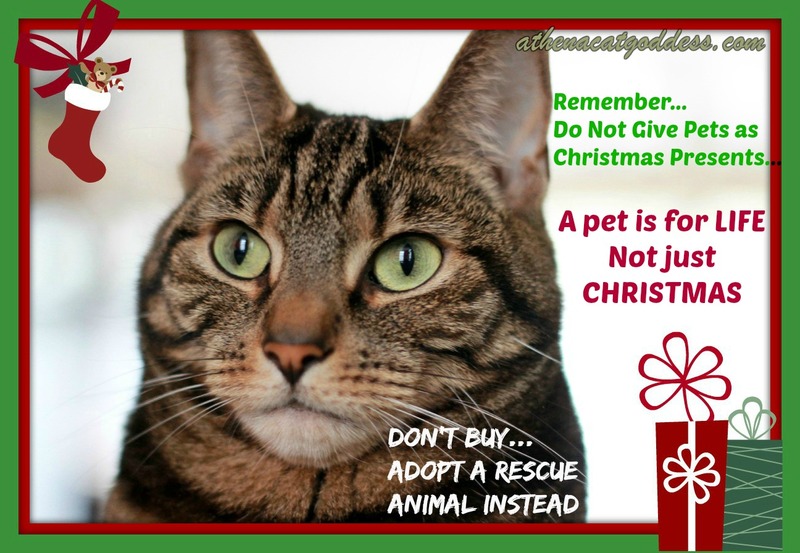 Altho' we do hope many peeps decide to adopt and save a kitties life this Christmas. Merry Christmas. Very important message Athena! Love that photo of you too. Hope you and your Mum had a lovely Christmas...Happy Holidays to you!